A Single Line Diagram (SLD) of an electrical system is the line diagram of the concerned electrical system which includes all the required electrical equipment connection sequence wise from the point of entrance of power up to the end of the scope of the mentioned work. As in the case of 132KV Substation, the single line diagram (SLD) shall show: lightning arrestor, C.T/P.T unit, isolators, protection and metering P.T. and C.T. circuit breakers, again isolators and circuit breakers, main power transformer, all protective devices/relays and other special equipment like CVT, GUARD RINGS, etc. as per design criteria. And the symbols are shown below. There are several feeders enter into the substation and carrying out the power. As these feeders enter the station they are to pass through various instruments. The major stations include a control room from which operations are coordinated. Smaller distribution substations follow the same principle of receiving power at higher voltage on one side and sending out a number of distribution feeders at lower voltage on the other, but they serve a more limited local area and are generally unstaffed. 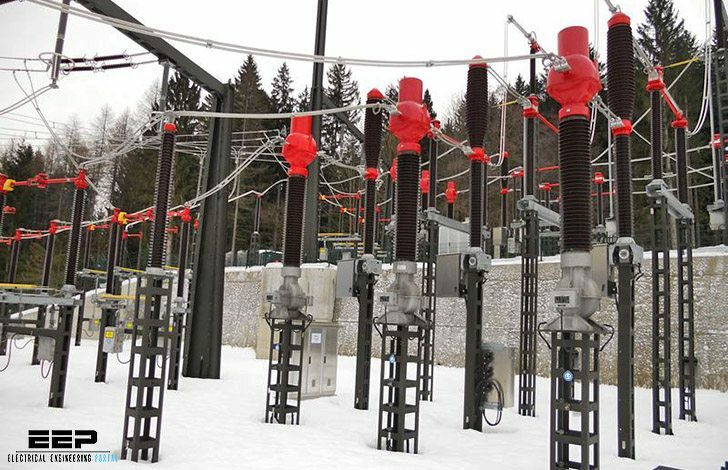 The central component of the substation is the transformer, as it provides the effective in enface between the high- and low-voltage parts of the system. The document distributed under the title OPERATION & MAINTENANCE of 220/132kV substation is not that what in the title on the cover page is indicated! The 60 pages to not include any proposed supervision interval, history recording, maintenance / overhaul planning, nor any lifetime recommendation or consideration or statistical reports from the past on any substation. The text in the reports may be collected in any electrical design book available in the book store. Safety measures to be considered during substation maintenace is an additional missing chapter. Sorry, the document regarding maintenance of substation is useless an the given recommendation during substation design stage is good engineering praxis anyway since decades.